In a brief moment of candor - complete with some spontaneous swearing - that set the Internet ablaze, Obama said the belief that women can "have it all" is "a lie," and voiced an unexpectedly frank rebuke of Facebook COO Sheryl Sandberg's strategy of "leaning in." “It’s not always enough to lean in because that s— doesn’t work all the time,” she reportedly said. Obama’s blunt assessment came as she was discussing how women can achieve the balance in life that allows for a successful career and marriage, New York magazine reported. Then, in what may be an unprecedented slip-up, Obama said the line that threw the audience and Internet into a frenzy. Upon hearing her utter a profanity, the packed 19,000-seat arena lost it, erupting in cheers and laughter. Many on social media praised Obama for being “real” about the struggles working women face. “Tattoo it on my body!” one Twitter user wrote about Obama’s words. The uncharacteristic remark even appeared to catch Obama off-guard. 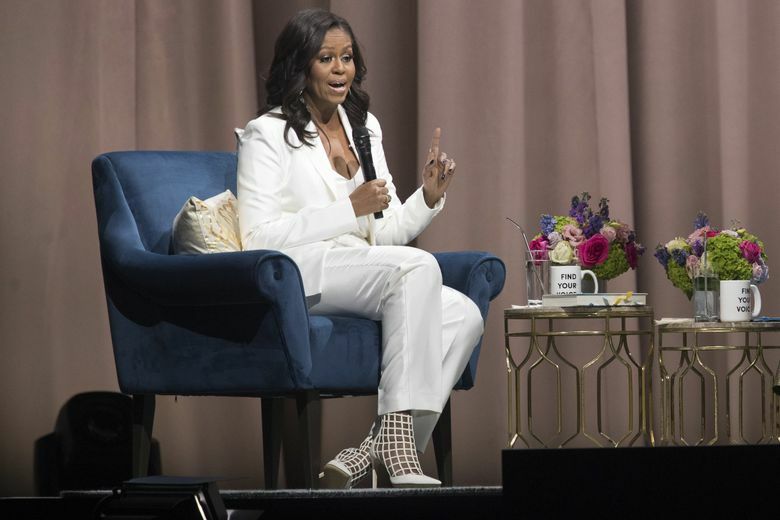 After reassuring the crowd she was “back now,” Obama offered a censored version of her earlier statement, swapping the swear word out for “stuff,” Vanity Fair reported. While Obama’s accidental use of an expletive swiftly became all anyone could talk about, several people pointed out that her candid criticism of “leaning in” had much greater significance. 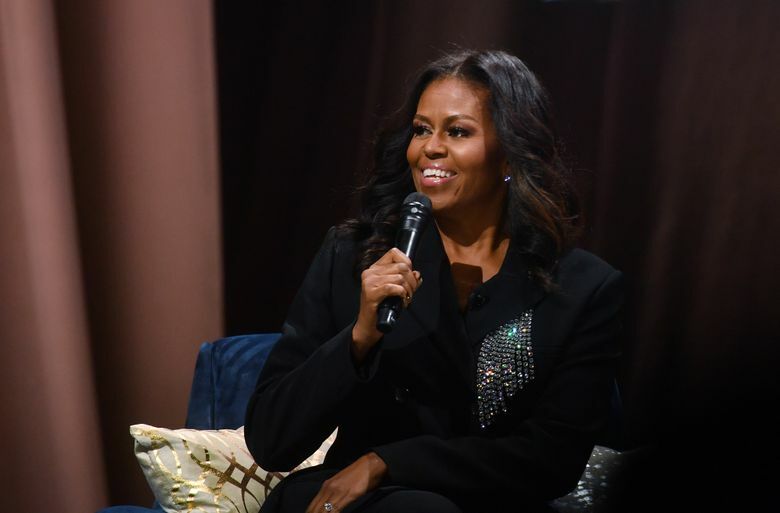 “Thank you [Michelle Obama] for being so real about the pressures we face as working mothers and reminding us all that just being ourselves is more than good enough!” one person wrote on Twitter. “Leaning in” was first popularized in 2013 by Sandberg, the now-embattled Facebook executive, in her book titled, “Lean In: Women, Work, and the Will to Lead.” Sandberg, described in a Washington Post review of the book as “a self-avowed feminist who wants to transform the role of women in the workplace,” encouraged women to assert themselves at work and in their communities to avoid ending up in subordinate positions. The concept is linked to the ambitious idea that women, as long as they try, can be successful both at home and at work. Since its debut, the “lean in” philosophy has been met with mixed success. Sandberg’s book sold more than 4 million copies worldwide and occupied a spot on the New York Times bestseller list for more than a year. It spawned a nonprofit bearing the same name founded by Sandberg and hundreds of “Lean In” circles, groups of women who meet regularly to discuss Sandberg’s advice. The circles have been touted as “one of the few places in the world where women can be overtly, unapologetically ambitious,” according to the New York Times. However, many argue that “leaning in” can place too much pressure on women to take action instead of pushing for workplaces to change. In a 2017 interview with USA Today, four years after “Lean In” first published, Sandberg said that even though women were galvanized, she was not seeing a change in business and politics. “In terms of women in leadership roles, we are not better off,” she said, noting that women occupied less than 6 percent of Fortune 500 CEO jobs and their global equivalents, and the number of countries run by women had decreased. Support for “leaning in” has been further hampered by the #MeToo movement, wrote Sarah Seltzer in a December 2017 piece for the Nation. “It’s become glaringly clear in these past weeks that, far from merely balancing work, life, and gendered expectations, women working in industries from glamorous-seeming Hollywood to crowded restaurant kitchens have been navigating a brutal minefield of harassment, abuse, and inappropriate behavior — not to mention plain old sexism and bullying — in order simply to keep their jobs, never mind advance in their careers,” she wrote. More recently, “leaning in” and Sandberg’s leadership were placed under additional scrutiny after controversy erupted around Facebook and Russian interference in the 2016 election. “Sandberg’s failure at Facebook exposes an emptiness at the heart of the argument that made her famous,” wrote Post columnist Molly Roberts, following a November New York Times report that Sandberg and other Facebook executives had tried to cover up Russians using the site to promote propaganda. On social media, Obama’s words were met with widespread approval. “This is perfect,” tweeted writer and activist Amy Siskind. “As a wife, mother, entrepreneur and philanthropic leader … I felt EVERY word of that sentence,” another Twitter user wrote.